It is no secret by now that Shadow the Hedgehog will be playing an important role in the upcoming Sonic Forces. 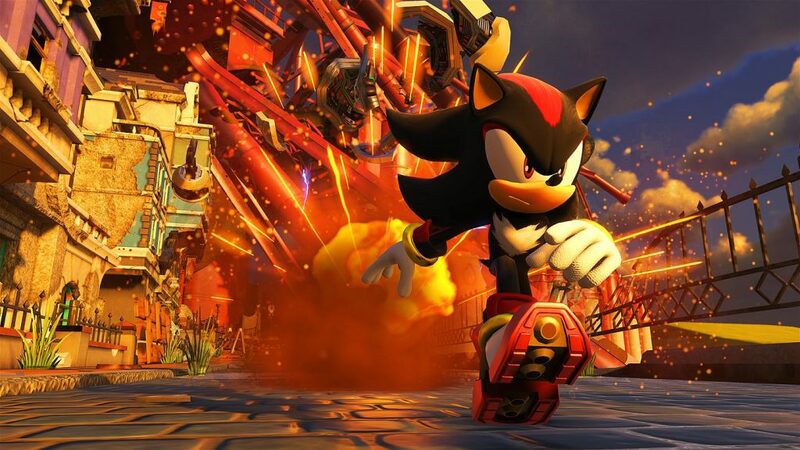 The E3 trailer revealed that the ARK-born and raised Ultimate Life Form is revealed to be joining the all-star lineup of longtime Sonic villains standing in the Resistance’s way, but fans and theorists alike are still wondering why the long-reformed Shadow would possibly side with Team Eggman. Some suspect foul play like mind control while I initially believed Eggman sprang for a rather impressive embossed invitation, but it wouldn’t be long now until we find out the truth for ourselves. To find out like this, though? I’d have never seen it coming. Alongside Modern Sonic, the Custom Hero, and Classic Sonic, you can now also play as Shadow once again in Sonic Forces (not the Avatar Hero Shadow costume; I mean the real deal) and witness his descent from brave-hearted hero back to black-hearted evil in his own exclusive Add-On Episode. If you’ve played Sonic Generations with mods in the past (or at least fought Sonic’s arch-rival yourself in the game), you’ll feel right at home as Shadow’s gameplay is very much like the Boost-based Modern Sonic we know. In the video, it also looks like he has something akin to the Dreamcast-era Light Attack at his disposal, given how he disposes of whole lines of enemies by plowing right through them at light speed. And with a “Supporting Me” remix for the stage as well? Nice touch! The experience will be short and bittersweet, unfortunately, but the good times don’t stop there. Downloading this DLC will also unlock the ability to play as Shadow himself in several Modern Sonic stages – no modding required! This also marks the first time Shadow the Hedgehog will be playable in a mainline Sonic game again since Sonic ’06 launched eleven years ago. With the “Solo Sonica” meme finally dead, the returning trend of other playable heroes in main titles (Tails and Knuckles in Mania, now Shadow here in Forces) is something I can only encourage… dare I say future Forces DLC? Oh, and as a special thank you to fans, SEGA will be releasing Episode Shadow for free, and it will launch concurrently with Sonic Forces on November 7. Digital preorders are rolling out today for PlayStation 4 and Xbox One, with PC to follow. Once again, for free. You read that right. Whether you’re getting the game physically or digitally! Do you plan on downloading this neat add-on for yourself? Are there other characters you hope SEGA might bring back as additional DLC for Sonic Forces? Share your thoughts with us in the comments below! Special thanks to SEGA of America’s Edith Yang and Aaron Webber for the privilege of meeting them privately during my time at PAX West! 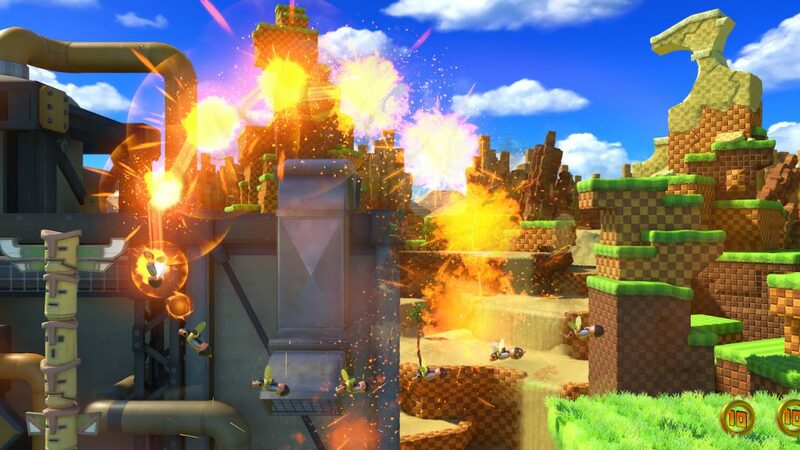 TSS readers can check out my own take on the Sonic Forces demo from the event, where I got to try out the Tag-Team mechanic for the first time and had an early peek at today’s reveal, later this week. I hope this is a sign of things to come for future games. We need more games with someone other than Sonic to play as. SEGA is finally pulling out the big guns for this game. It’s about damn time. Eugh… Mixing the word Shadow and Guns in one statement, the trauma returns. So it’s free to ANYONE right? Not just those who preordered the bonus edition? 3 parter? Sounds like Metal Episodic disappointment we had for S4 part2…Especially if the stages aren’t fleshed out enough.. 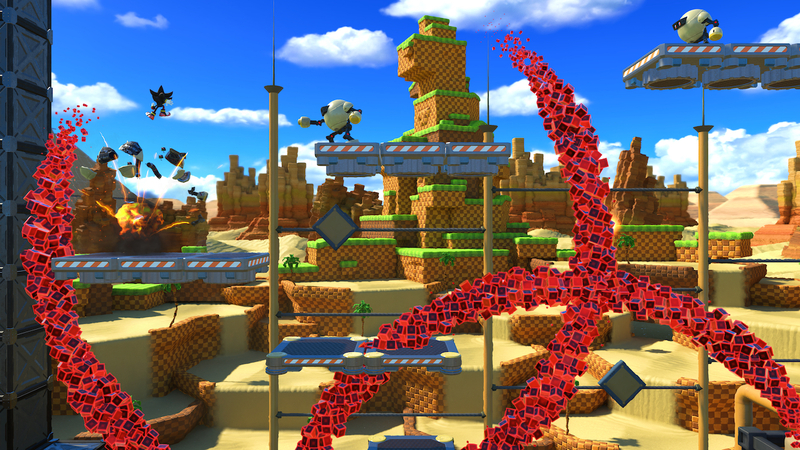 But unlike Episode Metal, you actually unlock the ability to play as Shadow in the normal stages, so that’s a plus. Of course they aren’t look at the video that’s some horrifically bad level design that certainly isn’t helped by giving him the automated chaining homing attack from Lost World. If these 3 stages can’t be all finished in under 10 minutes I’ll be really surprised. Considering that Sonic Team devs had a moment to teach priorities of a “good” level design in Japanese CEDEC 2017 conference, the level design in the video looks outright laughable for a platforming video game. Ha I haven’t heard of that, I think they’ve fired anyone who even has a grasp on good level design in the period after Generations. 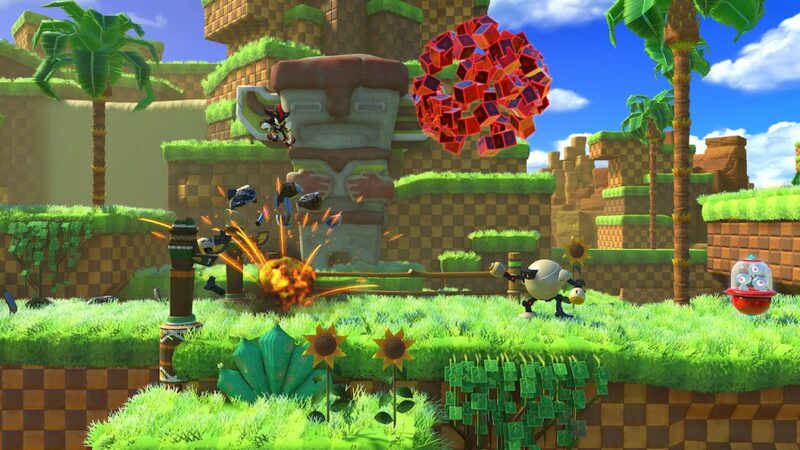 Sonic Team shouldn’t be teaching priorities of good level design they need to be taught it, the sheer laziness they put into even the 2D platforming in this DLC and the rest of Forces and previously Lost World is embarrassing considering the renaissance that genre is having and that’s even before you bring Mania into the picture. I definitely encourage this, not just because it’s Shadow, the stories in the recent games are so “compressed” that even the main characters are overshadowed by Sonic. It’s always about Sonic isn’t it? And though that sounds weird to say, it certainly wasn’t a problem back then. It’s one of the reasons why I still stand by ’06, multiple payable characters add replay value and make the game way more interesting. The prodigal son returns, alongside a remix of supporting me. I was happy when I saw my series favourite villains in the e3 trailer but this is a whole new ball game, plus it’s free. Many thanks Sonic Team and all the best when the game releases. Is that the japanese or english voice actor? I can’t tell? What makes you think otherwise? It really has to be free, there’s not much of a choice. They need to encourage as many to buy the game as possible given its general reception consumer and critic wise up to this point. Criticwise, previews have actually been pretty decent, other than Nintendo Life, but that was a very poorly written review anyway. Hell yeah! I’m so excited about this! Hopefully other characters will get their own ‘Epsiodes’ as well and that this is a sign of things to come for the franchise. Big the Cat. YOU HEARD ME. GIVE ME THAT BIG @$# FISHING CAT!!! Lol… Seriously, I always loved the different play styles and story modes of yesteryear. I’d rather play as Tails or Knuckles. Why is Shadow getting priority over them? Unless they’re playable without any DLC and they haven’t revealed it yet.